ROADSIDE rubbish bins containing contaminated items, builders material or ones too full to close the lid will be slapped with a sticker to notify residents in a new war on waste in the Lockyer Valley. 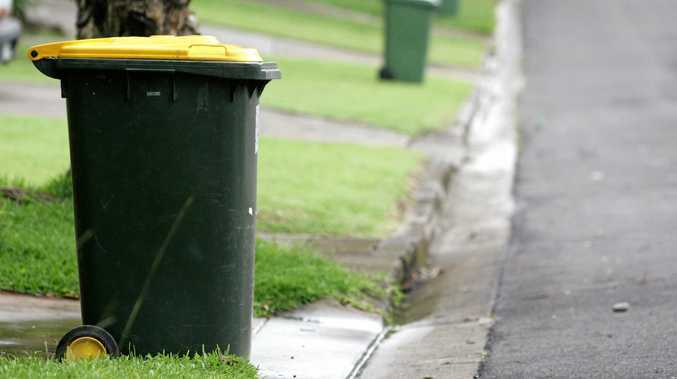 The Lockyer Valley Regional Council has introduced a new waste collection service sticker to replace the mail-out version the council presently uses. Health and Waste Management Portfolio Councillor Jason Cook said the stickers would be used to notify ratepayers of any kerbside issues affecting their bin collection. "Stickers will provide notification to the resident at the time of service of any contamination issues," Cr Cook said. "Depending on the level of contamination or the issue noted, bins may or may not be serviced. "Residents are also reminded that non-Council issued bins or any excess waste outside of bins will not be serviced." 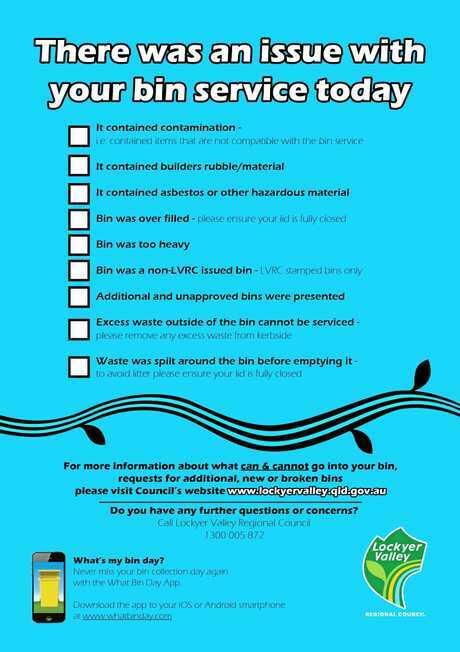 The sticker system will provide notification if a bin contained contamination, builders materials, asbestos or other hazardous material. Stickers will also be issued if the bin was overfill, too heavy, or was a non-LVRC issued bin. Cr Cook reminded residents excess waste outside of bins could not be serviced. He said said the new initiative would assist Council to lift the standard of service currently being delivered in the Lockyer Valley. 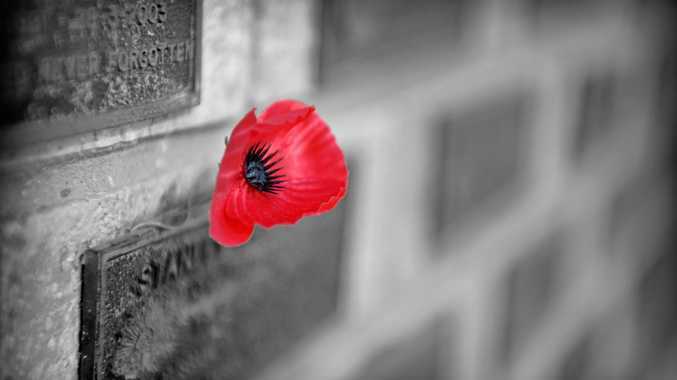 "It will also provide our residents with immediate notification and bring us in line with neighbouring Councils," Cr Cook said. "We consider the introduction to be a positive way forward for the sustainability of Council's waste management."